We are pleased to offer Youth Historical European Martial Arts, AKA: Youth HEMA. If your interests lie more in the martial arts, this program may be for you. We blend historical and modern fencing techniques into a fun and safe format that allows for more contact and increased precision, while keeping all the fun and safety. We study the old texts written by the greatest sword masters in history, such as Liechtenauer, Liberi, Silver and Meyer. Then we blend in a progressive mixture of modern sword techniques in order to create a unique and fun class for the kids. The class progresses like a martial art with testing and level advancement, and kids get to use armor, grapple, play skill-building games and so much more. Yes, it is as awesome as it sounds! 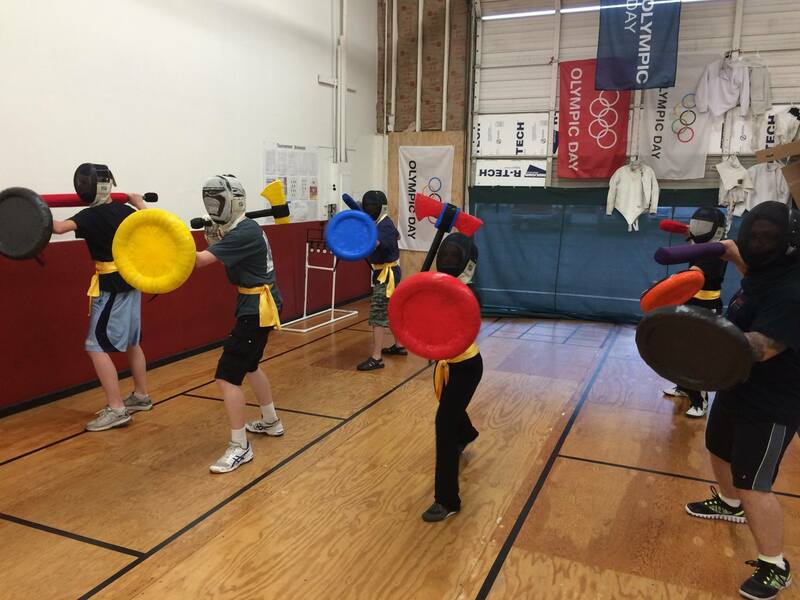 Youth HEMA classes are every week on Tuesdays, Thursdays, and Saturdays. Floor fee is $20. We blend martial arts with historical and modern fencing techniques into a fun and safe format that allows for more contact and increased precision, while keeping all the fun and safety. All beginner safety gear and weapons are provided as part of the membership.